The learning management space has been changing for some time now. Typically organizations get an LMS for their internal training needs. Simple as that. However as complex business relations got established the definition of an LMS user has been undergoing a bit of revision. The rise of the extended enterprise learning management model has become a reality today thanks to the existence of non-employee type users. 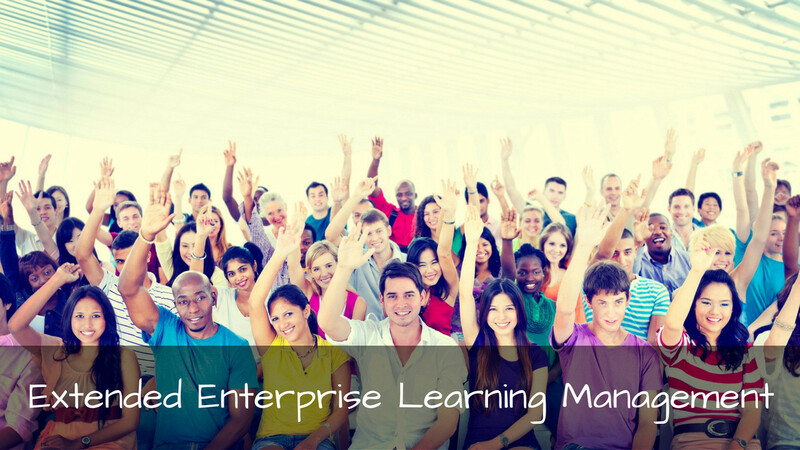 To begin, it is important to understand extended enterprise learning. In a nutshell, it is any training system that targets non-employees—for example, people in your supply-chain channel, sales representatives, service technicians and customers. With an extended enterprise learning management system (LMS), the objective is offer training that effectively changes collaborators’ and customers’ behaviors in ways that support your organization’s goals. The extended enterprise learning model can definitely be beneficial. For example, if your company sells safety equipment to construction companies but your primary clients – construction companies – don’t even recognize the value and necessity of using and/or updating safety equipment, you might have a problem. In this case, by extending learning to your customers, it is possible to increase their awareness of why safety products matter and why they need to be replaced on a regular basis too. In the end, one’s clients gain by increasing safety on the job and lowering their liability and one’s business gains by radically increasing sales. It’s that simple. How can you use eLeaP to cater to this extended enterprise learning environments? The eLeaP API consists of a set of callable methods designed to enable easy integration of HR and other corporate networks with the eLeaP Enterprise system. To perform an action using the API, your application simply sends a request to an API endpoint (tech speak for eLeaP commands) and a response will then be sent back to that application. If you don’t have an API account, contact eLeaP to register and activate your API account. The API enables organizations to remotely perform advanced activities in their eLeaP LMS instance. For example you want to automatically set up new employees as they are enrolled in your HR or Payroll system? Use the API to get this going easily and automatically. Do you need to send your own email notifications when new users are enrolled in the system? Simply use the API to mute the default eLeaP notifications. Do you need to assign trainings based on some advance internal metrics? Use the eLeaP API to automatically enroll users in User Groups, assign them to courses (individually or as a group) and create and add courses to Training Paths and of course automatically assign these blocks of Training Path courses to individuals or user groups. To learn more about the eLeaP API, contact us here. Sometimes, one is simply not enough. What if you need to manage multiple instances of eLeaP? What if another department or factory location or country headquarters wants their own instance of eLeaP? What if you are a consultant who needs to help your clients use online learning to save time and money? What then? The eLeaP Enterprise account is your answer. With eLeaP Enterprise, you can create and manage multiple instances of eLeaP including adding courses from one account to another, creating users and courses and even accessing tracking reports from one single dashboard account. Because of the explosion in technology for the work place, many of us have to manage multiple logins for multiple applications we use at work. Wouldn’t it be nice if you don’t have to remember another new user login and password? And if you are a network admin, do you really want to manage all the passwords of your users for their multiple applications? Single Sign-on is a technology which allows users to access multiple systems from a single login. So imagine your sales manager needs to log into their Salesforce account and then take some sales training in their eLeaP account. Instead of having them log into two (or more) systems, you give them a single signon to log into your network and then they simply click on icons to access the various applications authorized for their account. So why do we tell you all this? Because eLeaP has full single signon capabilities. We will let Lincoln Cannon tell you how Merit Medical achieves seamless integration. Take a look. While we will be first to say, turn on the taps and let them take training where ever, when ever and how ever, we do understand that sometimes corporate policy requires you to turn off access to your applications from off site locations. We understand the security implications. So if you need to restrict access for your eLeaP instance to specific locations (IP addresses), we are happy to comply.